The 205.5 MW Lakefield Wind Project spans approximately 20,000 acres of farmland in Jackson County, Minnesota. Indianapolis Power & Light Company purchases the power generated by its 137 General Electric 1.5 MW turbines under a 20-year Power Purchase Agreement. 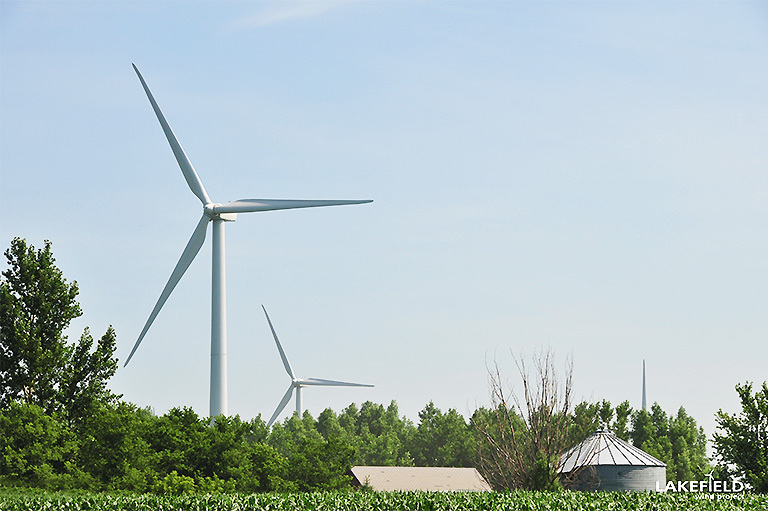 Lakefield Wind Project represented EDF Renewables’ ninth wind project developed in Minnesota. The Lakefield Wind Project is the second wind project developed by EDF Renewables for IPL’s renewable energy portfolio, both of which are results of their joint efforts to bring carbon-free electricity into the IPL generation portfolio in order to power the nearly 470,000 customers the utility serves. The Lakefield Wind Project was sold in 2012.